T. BONG also known as T.J. began his music career as a DJ growing up in the Albany New York area. 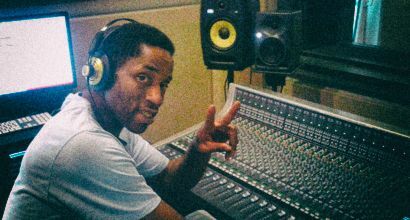 After learning and seeing how successful being a DJ was, T. BONG slowly made his way into Music Production, which then after a few years led him into becoming an actual music recording artist himself. T. BONG’s style is crafted by his New York influences as a DJ coming up in an old School Hip Hop era. When flowing over a head nodding medium paced Primo or Pete Rock beats, T. BONG is at his best as he meticulously and methodically manipulates the English language to “spit knowledge.” You won’t find a lot of fluff or vulgarity in T. BONG’s Music, which is refreshing in today’s era where music is blatantly offensive, abrasive, and about nothing substantial. At least that was the trend for a long time in the Hip Hop Industry, however with artists such as J. Cole, Kendrick Lamar, and Drake leading the way, Hip Hop is back on top of its game since the Old school Hip Hop era. To say the least T. BONG has always been apart of that movement to keep lyrics first in Hip Hop because “…words are powerful and with the use of Hip Hop we can positively influence and empower a large group of people or the exact opposite.” His one wish is that one day we will bring all of our fans and listeners back to the Culture that, in the past brought all of us together in Harmony and not like todays little civil wars at parties or events that to say the least is dissecting us and causing pain between us as people. Those are powerful words coming from DJ, producer, and rap artist T. BONG.